On March 7, 2019, British Airways Captain Gordon Black landed his final flight as a commercial pilot touching down at Lynden Pindling International Airport (LPIA). For decades, the veteran pilot flew over the beautiful waters of The Bahamas and wanted to officially end his career making the long-haul trip from London to Nassau. Company officials at Nassau Airport Development (NAD) received word that Captain Black chose LPIA to end his 43-year career and wanted to support British Airways as the airline recognized one of its valued team members. When flight #253, a 777 Boeing jet touched down from London Heathrow Airport, the aircraft was greeted with a water salute on the tarmac. 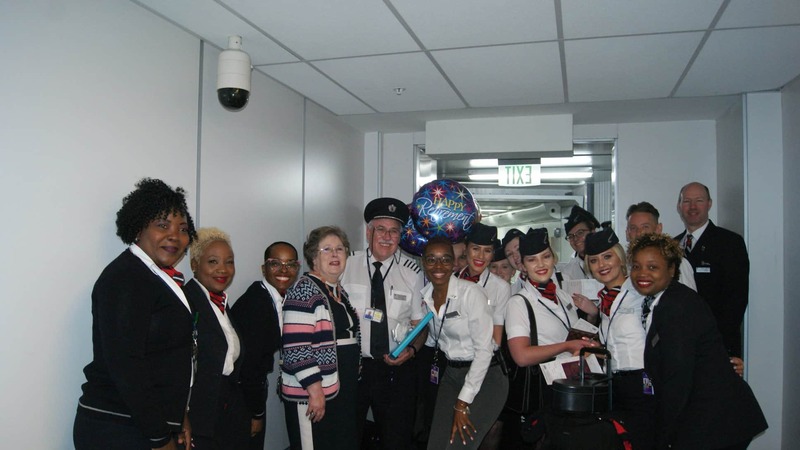 British Airways station manager Krishna Thompson-Rolle and her team welcomed Captain Black, his wife and the entire crew with cake and balloons. NAD also presented Captain Black with a gift to commemorate the occasion.